This page features Indiana Car Insurance rates, quotes, statistics, local carriers, and numerous ways to lower your annual premiums. To compare auto insurance in every state, or study American culture, or learn about top U.S. colleges and more, visit any of the links shown below. The Average Annual Auto Insurance Premium for drivers in the state of Indiana was $1,091 this year. This was far lower than the overall national average for the same time period, which was about $1,365. Why is Indiana car insurance so cheap? It's hard to guess, but remember these numbers are only averages. 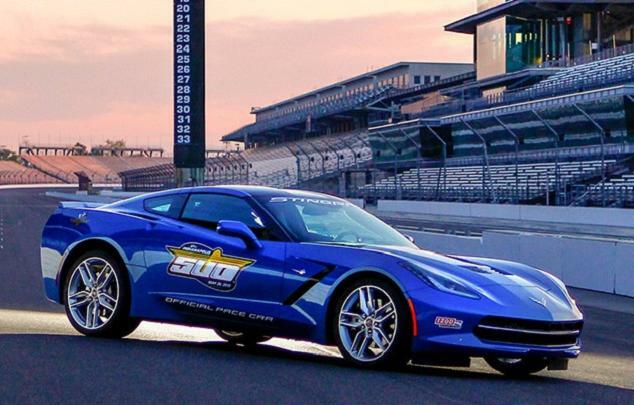 Indy 500 race cars are undoubtedly more expensive to insure than standard, street-friendly sedans. Indiana drivers who are ticketed for operating uninsured motor vehicles get away with a ninety-day license suspension, a mere slap on the wrist for first offenders. Repeat violations within a three-year time span result in license suspension of a year or more, with fines of up to $10,000. Reinstatement fees run as high as $300. In terms of uninsured vehicles on American roads, the state of Indiana ranks 8th in the nation, with more than 1 out of 7 drivers operating uninsured vehicles. The minimum auto insurance coverage required by law for each vehicle owned in the state of Indiana is 25/50/10. $10,000 to cover property damage. Analysts at the Insurance Information Institute claim that 100/300 coverage is the minimum needed for drivers anywhere in America to cover the actual cost of real auto accidents. Also recommended for Indiana drivers is UMI (Uninsured Motorist Insurance) coverage, because roughly one in six vehicles on Indiana roads are uninsured. 1. Google “Indiana home auto discount” for details. 2. Most carriers offer discounts to encourage safe behavior. These may include good driver discounts, accident-free discounts, good student discounts, multiple auto discounts, and price reductions for using anti theft devices, to name just a few. Ask every auto insurance agent you speak with about all available discounts on Indiana car insurance. Those discounts added together will save the Indiana driver a lot of money on annual premiums. At the same time, other Indiana drivers prefer local companies like Erie or Farm Bureau. They're all about the same, each car insurance company offering a full range of services and discounts at competitive rates. Simply call some local agents and get five free quotes. Then add up all your discounts, compare costs, and choose the least expensive plan.